Why to Shift to Call Center Softwares? Learn Why! Every business growth is dependent upon the efficacy of the services as per the changing trends of the IT industry. An effective message with the clients in today’s world is vital but the process is getting too complex and expensive. 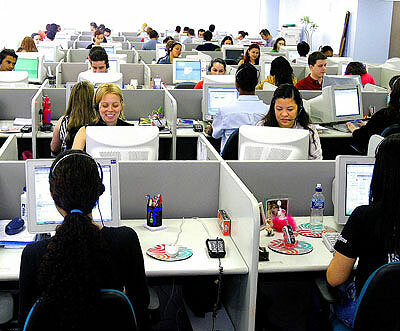 Therefore, most of the business establishments have started to shift to hosted call centers. Quick and Affordable – With the advantages of Internet Protocol based call centers, it has become easier for an outsourcing contact center to set their base within any part of the globe. The time consumed is less and there remains no constraint to organize a new workstation although time is less. Without countless additional costs, a small firm can keep the technology upgraded as per the demands of the market. Succeeded Service - The chances for the immediate costs are eliminated permanently. The use of a conventional system can cost a lot that is often involved in infrastructure management and troubleshooting of the equipment. With the assistance of a managed service of call center services, all the maintenance and troubleshooting costs are included when you subscribe the service from a third party. Up-to-date Technology – The typical outsourcing call centers face a great challenge to meet the modern trends. As the IT is developing so rapid, sometimes it becomes impossible for these service providers to meet the high-end demands immediately. Therefore, the shifting towards the call center softwares is most common now-days. Scalable & Elastic – Scalability is one of the factors that are easily facilitated with the introduction of this virtual process of managing calls. Growth can be monitored subsequently in the primary levels. And these virtual call centers scales on demand at an immediate notice. In addition, the adoption of this technology offers a great flexibility in helping the businesses that already have a principle solution. The integration process is further supported by a hybrid approach that can enhance the overall growth of the organization. The use of the call center softwares is a preferred option to solve all the queries of a call center industry. Your business is not only effective but also starts to show development in continuous phases. Be part of it now!